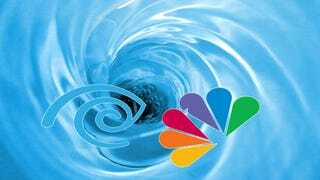 The Comcast-Time Warner Cable merger has been in the works for so long, it’s starting to feel like the impending monopolistic telecom Frankenbaby was inevitable. But the Justice Department may kibosh the deal for violating antitrust laws, according to a report from Bloomberg. Attorneys who are investigating Comcast’s $45.2 billion proposal to create a nationwide cable giant are leaning against the merger out of concerns that consumers would be harmed and could submit their review as soon as next week, said the people. The DOJ isn’t messing around here— sources told Bloomberg DOJ lawyers “aren’t negotiating” with Comcast to help the cable giant make changes to avoid its deal from falling apart. This is good. We like this. If the deal goes through, the engorged telecom tentacles of a merged ComcasTWC or whatever they’re gonna call it would be wrapped around roughly half of the paying TV/Internet/Cable customers in the US. With a lack of competition, the two now-united cable companies— not exactly known currently for their sparkling customer service or bargain prices— will have even less incentive to cater to anything other than padding their new joint bank account. Bloomberg’s sources are anonymous and nothing’s been settled yet, so it’s premature to do a jig on the merger’s grave, but this is definitely promising.